The 1U Standard Platform enables simple experiments in space for signal reception and Earth Observation. 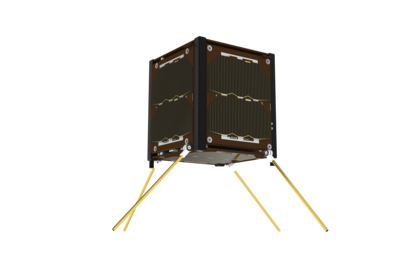 It is a good choice for projects that require a small platform for doing nanosatellite integration and in-space operation training. The satellite platform has been used in several Academic programs since 2014. The 1U standard platform is tested and ready for integration of your payload, or it can be upgraded with a GomSpace provided payload consisting of a RGB camera with a 35 mm lens providing 60m per pixel resolution at 650km orbital altitude. Power system with 2 onboard Batteries, Solar Panels on all satellite faces. Communication system with On-Board Computer, UHF radio and antenna and Flight Preparation Panel for testing. For a standard platform delivery without payload integration, lead time is 4-6 months from receipt of order.